Wow! Forgive the lack of eloquence, but it’s not very often unwrapping a review copy of a book stops you in your tracks. That’s what happened when Motown: The Sound of Young America (Thames & Hudson, $60) appeared. The Adam White/Barney Ales collaboration should land on music lovers’ Christmas lists. White, who has covered the music industry for 40-plus years, got together with Ales, considered Berry Gordy’s right-hand man, to create a thoroughly engaging new look at a story you might think you know. 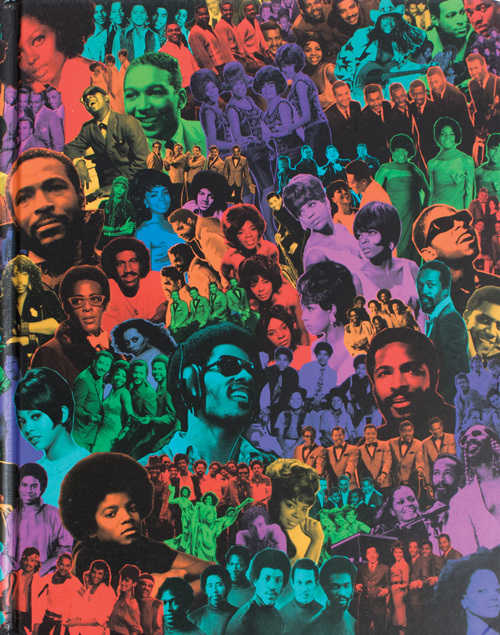 It’s packed with iconic photographs of Motown stars, plus album covers, posters, and so much more. But it’s not all eye candy. It looks behind the scenes to the business and distribution side of Motown’s rise to international fame. For now, it’s locked in my office until we decide who gets to take it home. Is it time for lunch yet? Whether you’re a University of Michigan grad or just a fan of Ann Arbor nightlife, you’ll find something to suit your appetite with Iconic Restaurants of Ann Arbor (Arcadia, $22.99). Here, Jon Milan and Gail Offen explore their favorite college-town haunts. There are the long gone but not forgotten, such as Metzger’s hearty German fare, the heralded The Moveable Feast, The Sugar Bowl, and The Ritz (now a “classy” CVS). Musical memories include Mr. Flood’s Party and the Blind Pig, plus a stop at hippie haven the Del Rio. Still-standing standbys get a nod, too, including The Brown Jug, Weber’s, and the original Cottage Inn pizza joint. There are plenty of photos, advertisements, and discussions about the locals’ favorite spots for the best pizza, coffee, beer, burgers, noodles, and burritos. And as an appetizer, there’s an introduction by Ari Weinzweig, one of the founders of the now iconic Zingerman’s Community of Businesses. 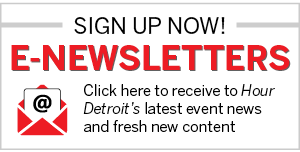 Long before Motown, there was the Detroit Symphony Orchestra. But before the DSO was formed in 1887, there were the Germania Musical Society in the late 1840s, the Light Guard Military Band in the 1850s, and the Detroit Opera House in 1869. 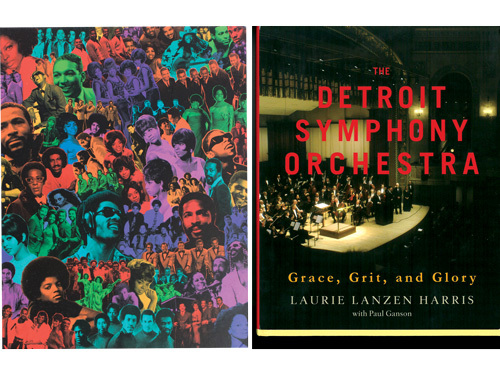 They’re all in The Detroit Symphony Orchestra: Grace, Grit, and Glory (Wayne State University Press, $39.99) by local author/editor Laurie Lanzen Harris along with Paul Ganson. He’s a DSO insider, having retired after a 35-year stint as assistant principal bassoonist. He was also president and CEO of Save Orchestra Hall, Inc., and is the DSO’s historian. 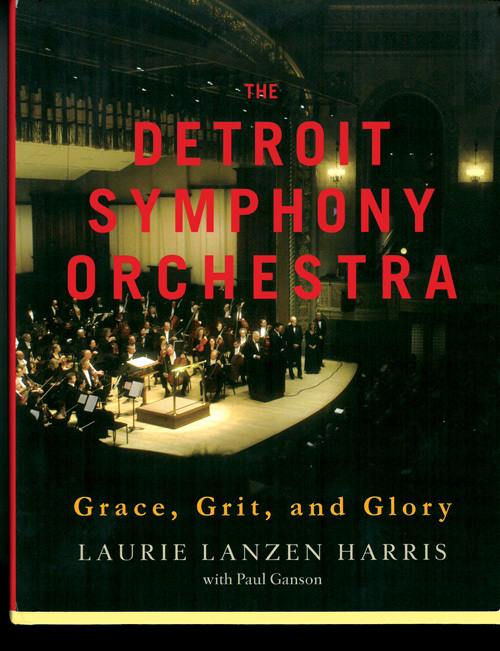 The book tracks the DSO’s history, its financial ups and downs, and key people either on the podium — like Sixten Ehrling and Neeme Jarvi — or behind the scenes, including financial supporters Peter D. Cummings and Max Fisher as well as craftsmen like Oscar Graves who helped restore Orchestra Hall in the late 1980s.